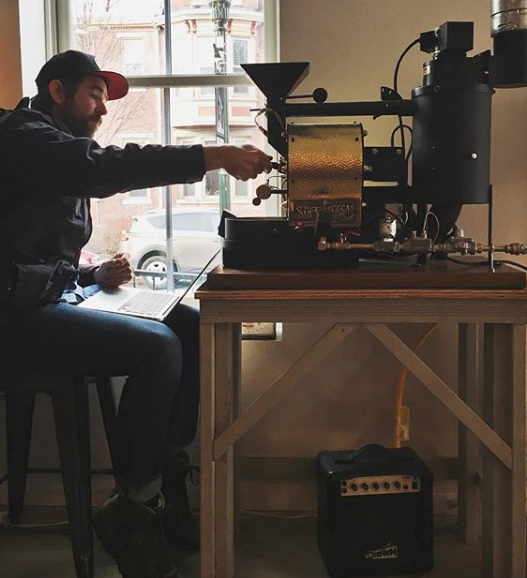 After experiencing the intense flavors of small coffee roasters in Oakland, CA, Aaron Carlson started experimenting with roasting beans on his own. In 2011 Little Amps Coffee Roasters opened its first brick and mortar location in the Olde Uptown neighborhood of Harrisburg. They’ve since added two more retail locations downtown and now distribute wholesale to stores and coffee shops throughout the US. Aaron and the Little Amps crew believe the naturally sweet taste of their coffee results from caring about each stage of production. This obsession paid off in 2018, when Little Amps’ Rwanda Cyato roast was named “America’s Best Espresso” at Coffee Fest. If you’re interested in learning more about tasting notes and brewing methods, you can attend one of Little Amps’ free coffee classes or cupping sessions.